1. Art: Giving Back was a success! As explained by historians Santa Clause (A name originated from Saint Nicholas of Myra was a 4th-century Greek Christian bishop of Myra (now Demre) in Lycia, a province of the Byzantine Anatolia, now in Turkey) was a transformational figure until the first Santa Claus painting made by Haddon Sundblom for the Coca-Cola Company, as it appeared in the December 26, 1931 issue of Collier’s Magazine. 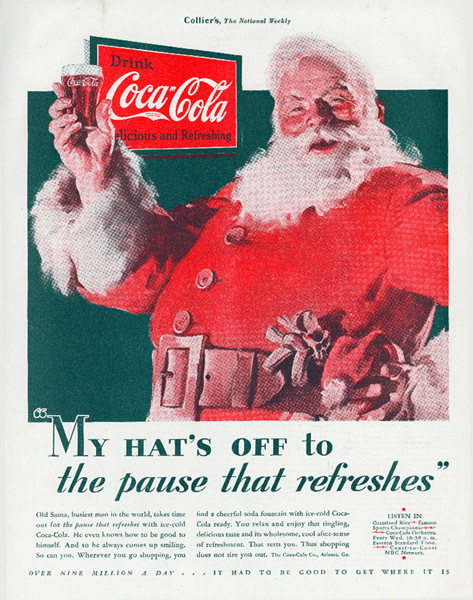 Sundblom painted a new Santa illustration for Coca-Cola almost every year until 1964. Besides making Coca Cola a house hold name, the depiction gave a jolly, loving, grandfatherly icon and marketing figure for businesses around the world. The rest was history. Weeks after Fox News anchor Megyn Kelly declared “For all you kids watching at home, Santa just is white. and Jesus too” I watched a flashmob organized by Coca Cola dancing in tune of jingle bells in Addis Ababa mall. You might wonder what is the story here so allow me to explain. Ethiopian Orthodox, Pentecostal and Catholic Christians annually celebrate Christmas Day on or near January 7 to remember Jesus Christ’s birth, described in the Christian Bible. This date works to the Julian calendar that pre-dates the Gregorian calendar, which is commonly observed. The Ethiopian name given to Christmas is Ledet or Genna which, according to elders, comes from the word Gennana, meaning “imminent” to express the coming of the Lord and the freeing of mankind from sin. Genna is also the name given to a hockey-like ball game. Legend has it that when shepherds heard of the birth of Christ they rejoiced and started playing the game with their sticks. Men and boys in villages now play the traditional Genna game with great enthusiasm in the late afternoon of Christmas day, a spectacle much enjoyed by village communities and the elders who referee the game. Genna is a well established holiday with its own multiple jingles, menus and traditional dresses and one of my favorite. I remember getting a Santa card when I used to live in Ethiopia and understanding it as a loving character of a foreign culture. It’s like St. Patrick, I am not quite sure the story behind it but I celebrate it with my Irish friends because I love them and let be honest St.Patricks have been very good to me as far as good times. I also remember Christmas trees, usually in the houses of people with western relations or connections. The reason I am pointing out this is simply to say in this information age cultural exchanges happen much faster than the generation before and it has its own advantage and disadvantages. Now look at the video attached of the flash mob. It starts with jingle bell tune and a young men and two girls entering the mall. A little kid with coke earphone dancing happily and the video zooms into a young men with a t-shirt that says “U B 6, I B 9″(an explicit turn of sexual position, which probably gives your grandma a heart attack, if explained) all around them coke banners. Then the whole mall starts dancing in choreography and Santa appears in a middle holding coke in his hand as if he is saying “Diabetics Abeshas”. 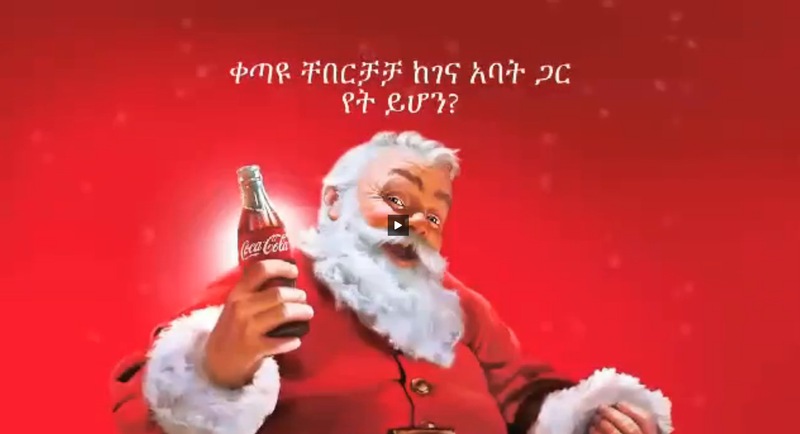 Then the music turns into the Ethiopian Genna tune ( an escape clause for marketing execs) and it ends with that same famous Santa rendering of Haddon Sundblom with a word “Where will be the next dance with the father of Christmas?” preparing us for more commercials. Almost all of the Ethiopian video and social networks appreciated the quality of the dance and video not knowing what is hitting them. For ages and ages to come, cultures borrow from one another. Adopting the culture of Christmas is not what bothers me, what bothers me is the commercialization of culture. Lately we are witnessing the eradication of what makes us unique and a token of African culture. little by little we are losing our culture and not knowing it. I am sure a lot of people consider my opinion as discouraging progress. If you consider stripping your culture naked is a progress, what do you call having no identity? 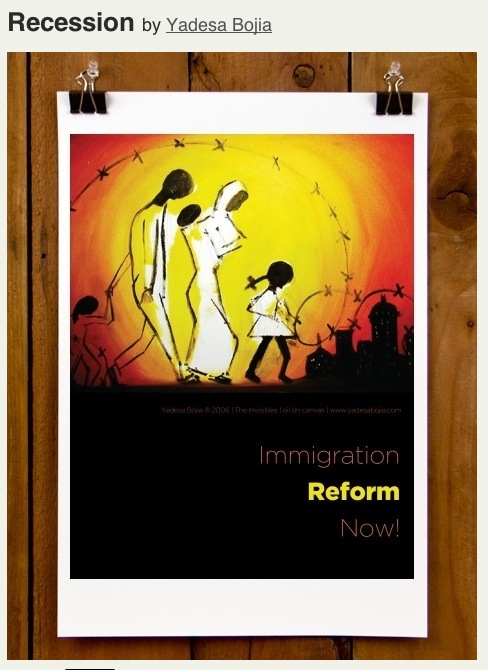 As a great James Baldwin once said, “if you don’t know where you come from, you don’t know where you going”. I encourage you to explore more cultures and be open to learn them but replacing what is your with a new will leave you without foundation. If you don’t trust me, in about twenty years the question will be “what Genna?” The commercialization of Genna have to noticed. 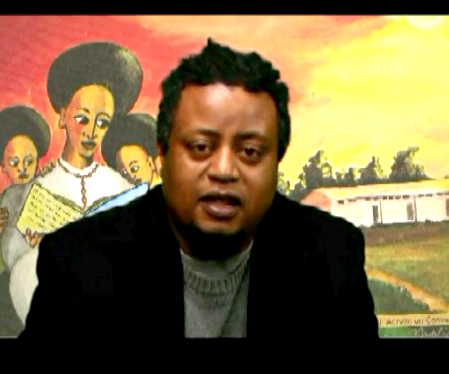 I sat down with MMRTI’s Mr Assaye Abune to discuss the life and legacy of Nelson Mandela! My interview runs from the beginning to 26min mark. Enjoy! The third annual OPEN HEARTS BIG DREAMS fundraising took place Saturday, Dec 14th 2013 at Seattle’s kings hall. The fundraising had bold goals of hosting 300 guests and raising $90,000 to allow Ethiopia Reads to do even more for more than 125,000 children it serves in Ethiopia. The night was very lively and fun. 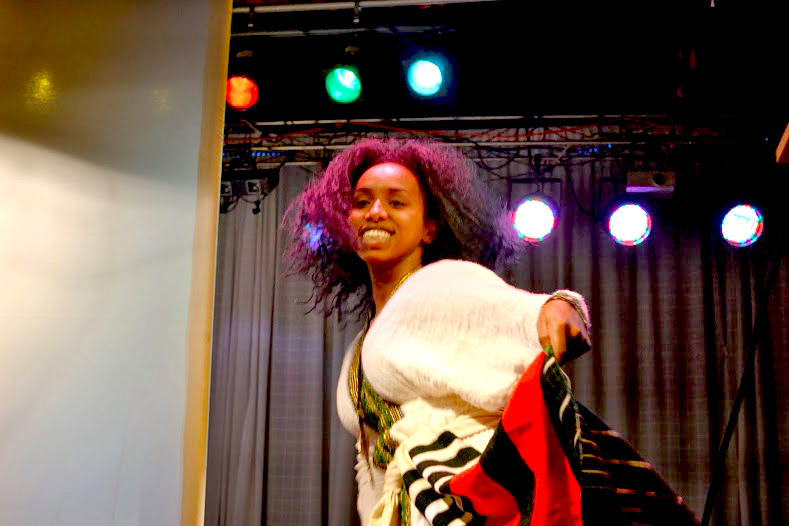 The guests enjoyed different Ethiopia cultural music and live dance, delicious Ethiopian cuisines, cultural Ethiopian coffee ceremony and silent and live auction. I was also one of the scheduled speakers and one of my donated piece went to a supporter after an intense auction. The auction started $500 in $100 dollar increment and it went for $3050.00. Besides all the fun things that happened Saturday night, I was very glad and inspired to see the overwhelming support of our guests to educate and help kids in Ethiopia. I shook hands and talked to different peoples from all walk of life all under the same roof for the greater cause of educating children across the ocean. Friday night, when we set up the hall, I worked and chatted with an Amazon.com employee, a lady that traveled from Iowa just to attend the fundraising, an Ethiopian mother and an Ethiopian man who had a concert scheduled the next day (but he stop by anyways) Seattle mother with three kids (the younger one one year old) among the twenty plus volunteers. The next day, the volunteers showed up in droves, most high school students (very professional and mature I have to add) and local Ethiopian community members. These volunteers played a crucial role for the past three years. They are the musicians, the dancers, the ushers, the bidders, the receptionist and greeters and so on. The success of Open Hearts and Big Dreams got to do with every one of these volunteers, donors and supporters. Just like the volunteers the attendees were also very diverse and amazingly generous. They showed immense love to Ethiopian kids. By their presence and contribution they told Ethiopian kids they are with them. I emphasized the same message and thank the attendees for their support on behalf of Ethiopia. 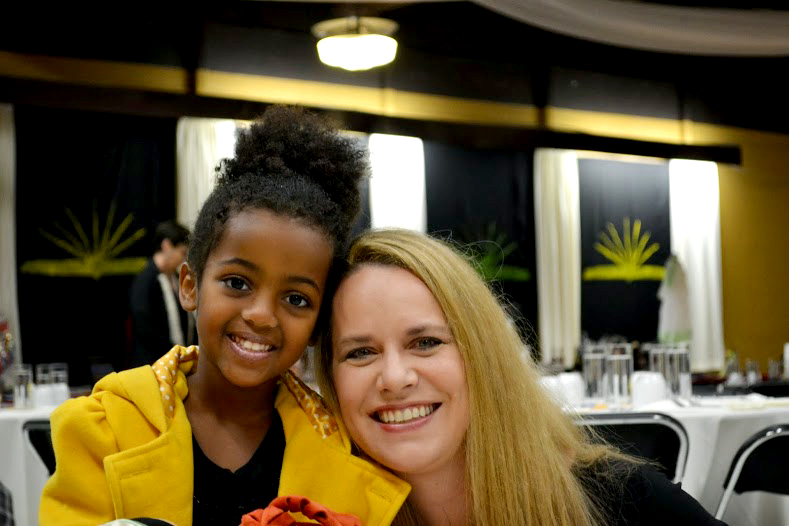 In 2011, Ellenore and Michael Angelidis first hosted Open Hearts Big Dreams as a way to connect their love of reading with their love of their daughter, Leyla, and their commitment to her country of birth, Ethiopia. I can say a lot about Ellenore and Micheal and their dedication to change life in Ethiopia, The love they have to their daughter and sons and how that love manifest itself in a less fortunate in a form of providing education. This is a story that needs its own post. Besides all of that, I am always amazed how they manage to have to time to organize, arrange and plan on top of their other responsibilities. The incredible focus and dedication they have, I never see before. The great outpouring of volunteers and donors is simply the testament to their dedication and care and how contagious there message is and will be for a long time. Besides speaking and donating art, I also involved this year as a creative director of the event. I have to say one can see the ambiance of the hall and see the improvements we did this year. Event coordinator Holy Kate and her team did a great job of executing the final look. In short, the event was very successful, I know the final numbers are not tallied yet but it feels like we accomplished what we set out to accomplish. Think about joining us next year. Happy Holiday! 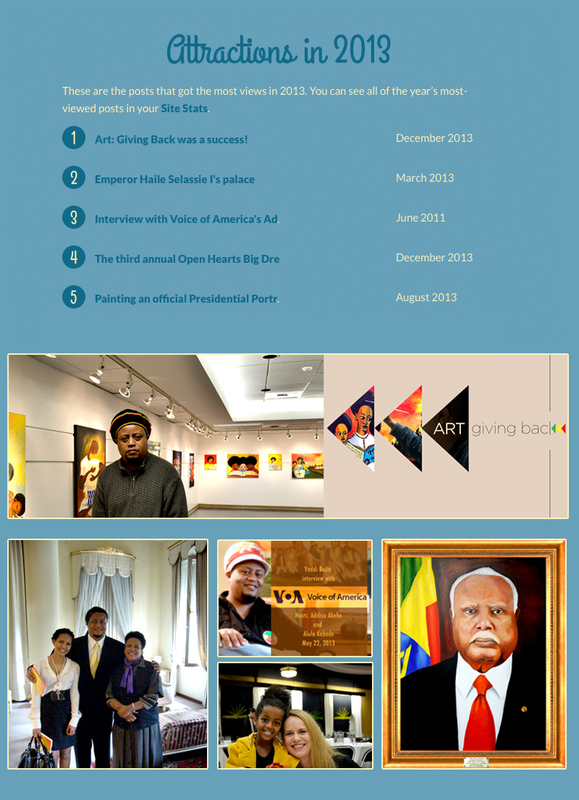 Art: Giving Back was a success! Thanks to awesome supporters, friends, co-workers, family and outstanding staffs at M.Rosetta Henry Gallery, my art show “Art:Giving Back” was successful beyond my expectation. My fond memory of this art show was the diverse audience the show able to attract. Special thanks to 4culture and Heather Dwyer, M. Rosetta Hunter Art Gallery and curator Ken Matsudaira, Ethiopia Reads, Open Hearts Big Dreams, Ellenore Angelidis and family, Supporters of my art, my friends and family. 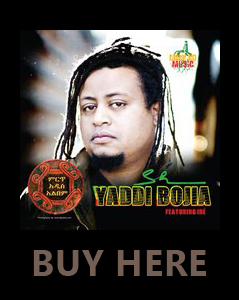 Thanks to Queen Sheba Ethiopian Restaurant and Abiy Assefa. To my wife Hewan Gebremichael, our kids Becca Bojia and Isaiah Bojia. My heartfelt thanks goes to each and everyone of you. Please download your photos as a thank you from me. Art: Giving Back is an art show/artist talk with the idea of sharing with the public how to use art to shade light to pressing social issues. The past four years, I involved and volunteered in different fund-raisings to secure funds for children education in Ethiopia. 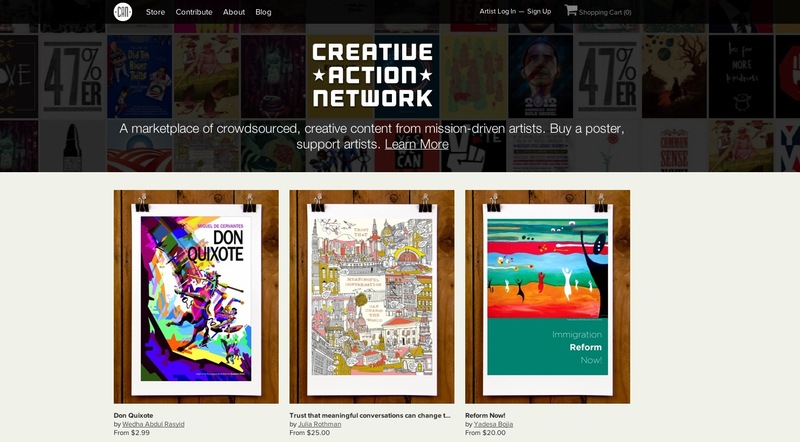 In these fund-raising, I joined forces with amazing people and we all bring our skills and ideas to the table. Mine was in a form of art through painting and design. This show will give you a glimpse of what really is possible when we join forces for the same goal. 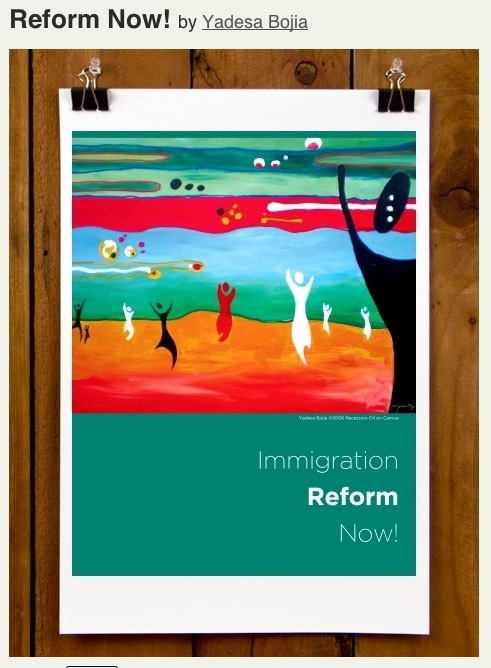 Shop for posters I designed for the Creative Action Network. Click on the link to visit the pages. The third annual OPEN HEARTS BIG DREAMS Seattle 2013 has bold goals of hosting 300 guests and raising $90,000 to allow Ethiopia Reads to do even more for more than 125,000 children it serves in Ethiopia. 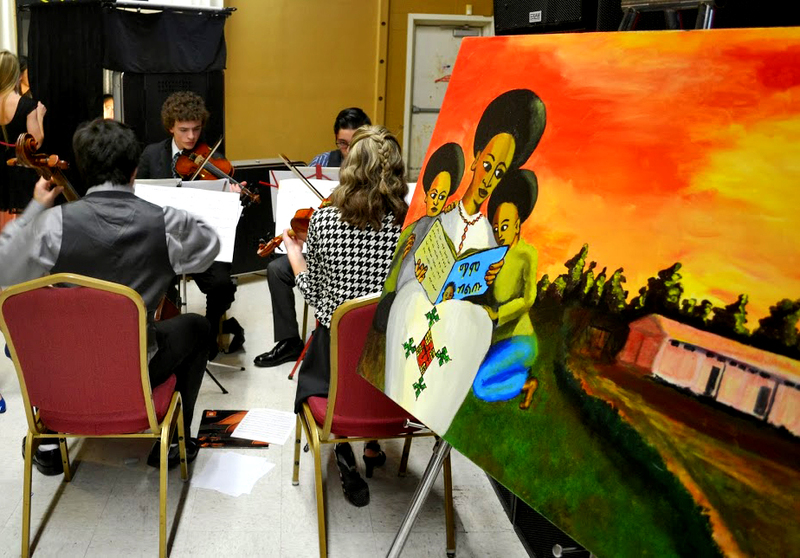 This beautiful evening will be a lively celebration of the cuisine, music, art, and poetry of Ethiopia, featuring Silent and Live auctions and an opportunity to learn more about Ethiopia Reads and support the organization. Here is an announcement aired last night to promote the event. Click the link below to watch the video.